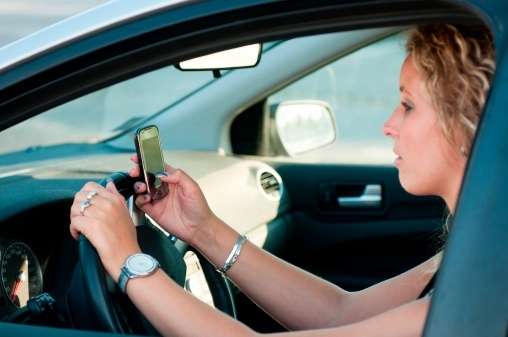 South Carolina Nears Statewide Ban on Texting and Driving - Harrison White, P.C. Texting-while-driving bans in Greenville and other cities across South Carolina could become moot if the South Carolina General Assembly passes statewide restrictions. The state Senate strengthened a measure against texting while driving on Tuesday, May 13, and sent it to the House for consideration. As of Friday, May 16, a House vote was pending. South Carolina is one of only two states in the U.S. that has no restriction statewide on texting while driving. Montana is the other state. An original version of the Senate-proposed ban would have affected only drivers with beginner or restricted licenses and prohibited use of hand-held cell phones in school zones when lights were flashing. But state senators are starting to realize that texting while driving is a dangerous habit, especially among young drivers. Momentum has been growing for quite some time in South Carolina for a full-blown ban on texting while driving. Even Miss South Carolina Brooke Mosteller and a host of pageant contestants entered the debate, visiting with lawmakers recently to discuss the need for a ban, The Insurance Journal reports. Mosteller told lawmakers that texting and driving is six times more dangerous than driving under the influence of alcohol and is the leading killer of U.S. teenagers. Some 3,000 teen deaths and 300,000 teen injuries in the U.S. that happen every year can be attributed to texting and driving, according to Cohen Children’s Medical Center in New York. In comparison, drunk driving leads to 2,700 teen deaths annually, the center said. While most people worry that teens will be killed by guns, drugs and predators, they are more likely to die because of texting and driving, according to Mosteller. Passage of anti-texting laws by cities such as Greenville may have forced the legislature’s hand on the matter. While state lawmakers have been debating proposed texting bans, 21 local governments have passed prohibitions on texting while driving. Because these laws differ so much from city to city, state legislators may have decided that they needed to take action to bring all of South Carolina under one umbrella. Greenville’s ban is one of the strictest in the state. It outlaws any use of a hand-held cell phone while driving and gives police the authority to check a motorist’s phone to determine if they have been texting. One lawmaker from Anderson told the Insurance Journal that he hopes a statewide ban will be enacted that is similar to Greenville’s law and supersedes all local ordinances. Before any texting ban becomes a reality, the General Assembly must make the House and Senate bills mesh. The House bill would levy a $25 fine on motorists caught using wireless electronic devices to read, write and send messages. If it is proven that a driver texted more than once, the fine could jump to $50. However, police would not be allowed to check driver’s phones. Also, texting while a driver is parked or stopped for an emergency would be allowed. The Senate bill calls for a $75 fine and adds two points to a motorist’s driver’s license record. Once approved in both chambers, the legislation would have to go through a conference committee before going to the governor’s desk. The law firm of Harrison, White, Smith & Coggins believes this is an important legislative measure for driving safety – one that would enable South Carolina to catch up with the rest of the nation in preventing distracted driving accidents. We will continue to monitor these legislative developments and let our clients know where our state is heading on the matter of texting while driving.